Peter Boykin shared a link. Peter Boykin updated their profile picture. Special Report Clears @RealDonaldTrump #NoCollusionHow does this make you feel? Special Report Clears @RealDonaldTrump #NoCollusion Have you downloaded the #MuellerReport yet? #Mueller #RussiaGate didn't work! Now @DNC really wants @realDonaldTrump taxes..
KIEV (Reuters) – Ukrainian tycoon Ihor Kolomoisky won a major victory on Thursday in his battle with the government over the nationalization of the country’s largest bank as a court ruled the change of ownership was illegal. PrivatBank was nationalized as part of an clean-up of the banking system backed by the International Monetary Fund, which supports Ukraine with a $3.9 billion loan program. “That means I won. I won the lawsuit,” Kolomoisky said after Reuters told him the news of the court’s decision, which was announced while Reuters was conducting a phone interview with him. “Well, excellent,” he added. Kiev’s Western backers in a coordinated statement said they were “closely monitoring” the situation and that it was important for the authorities to continue efforts to recover losses from former owners and related parties of failed banks. The fate of PrivatBank has also loomed over Ukraine’s ongoing presidential election campaign. Kolomoisky has publicly supported the candidacy of Volodymyr Zelenskiy, the frontrunner to beat the incumbent Poroshenko at an election run-off this Sunday. Zelenskiy has repeatedly denied that he would seek to hand PrivatBank back to Kolomoisky if elected. Thursday’s ruling could boost Kolomoisky’s chances of winning compensation or retrieving the bank. “I don’t call it a nationalization, I call it an expropriation because people receive compensation after a nationalization. They don’t receive anything after an expropriation. And we didn’t receive anything. So I want a legal assessment,” he added. 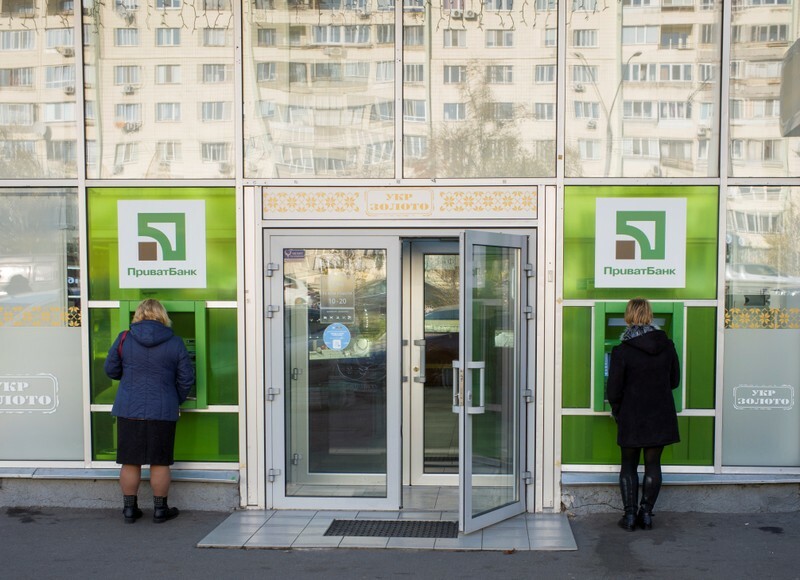 The authorities have spent nearly $6 billion since the nationalization to plug a hole in PrivatBank’s balance sheet, caused by what the government says were fraudulent lending practices and money laundering. Kolomoisky disputes that assessment of the bank’s health when it was nationalized. The case led to hundreds of lawsuits and the authorities see it as a test of their fight against corruption. Deputy Central Bank Governor Kateryna Rozhkova told a briefing she saw no grounds for PrivatBank’s former owners to be compensated. “Our international partners do not accept this decision and do not understand the arguments of the court,” she said, adding that she expected the current central bank’s leadership to stay in place after the election. Lawsuits challenging the nationalization of PrivatBank “deal irreversible damage to Ukraine’s international image,” the central bank said in a separate written statement. Zelenskiy, a 41-year-old comedian with no prior political experience, has had to fend off accusations from Poroshenko that he is a puppet of Kolomoisky, whose TV channel airs Zelenskiy’s shows. Zelenskiy insists his relationship with Kolomoisky is strictly professional. “All this just underscores that the biggest risk of the Zelenskiy presidency is the relationship with former oligarch Kolomoisky and the unresolved issue of PrivatBank,” said Timothy Ash of BlueBay Asset Management after Thursday’s court ruling. Zelenskiy’s campaign sought to make political capital out of Thursday’s ruling, pointing to the fact that it had happened while Poroshenko was still in charge of the country. Embiid was whistled for a Flagrant 1 foul after a vicious elbow that caught the jaw of Brooklyn’s Jarrett Allen during the 76ers’ victory. Embiid apologized for the elbow during the postgame press conference but broke into laughter with teammate Ben Simmons doing it. 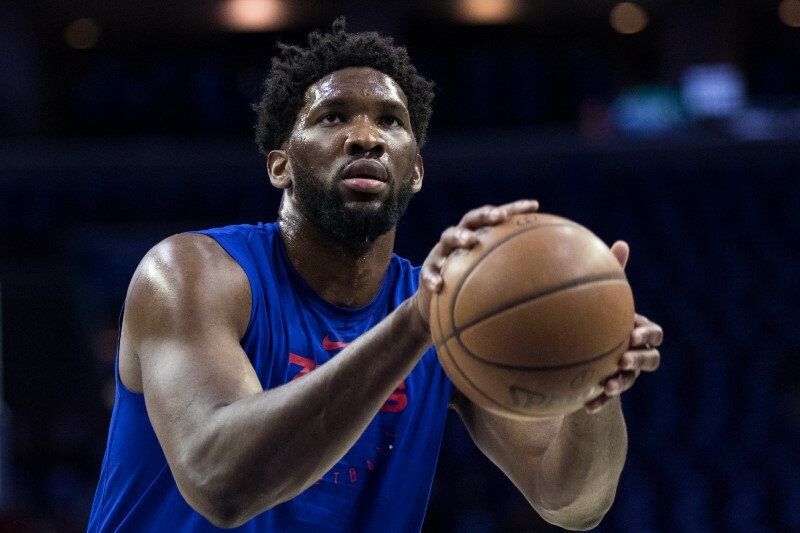 Embiid said Simmons laughed because “I’m not usually humble,” an explanation accepted by the Nets’ Jared Dudley as Embiid being a “silly guy.” However, Dudley didn’t full excuse it. Game 3 is Thursday night in Brooklyn with the series tied 1-1. FRANKFURT (Reuters) – The European Commission’s push to implement a Wi-Fi standard for connected cars has won the support of lawmakers in a victory for Germany’s Volkswagen, although competitor BMW and other backers of a rival technology still hope to overturn the decision. Advocates of the alternative C-V2X standard – which stands for Cellular Vehicle to Everything – say their technology is already viable and will only improve as next-generation 5G mobile networks are rolled out. The apparently dry debate over acronyms has divided the car and telecoms industries and will influence which continent ends up dominating automated driving technologies that promise to be safer than people behind the wheel. There are around 25,000 annual road fatalities in the EU and another 135,000 serious injuries. The Commission wants to halve both by 2030 as part of a long-term ‘Vision Zero’ goal to virtually eliminate them by 2050. China, the world’s biggest car market, is already pressing ahead with C-V2X, which is designed to work with 5G but is incompatible with Wi-Fi. Ford will deploy C-V2X there in 2021 and has committed to install it in all its new cars and trucks in the United States from 2022. The European Council, the intergovernmental part of the EU’s decision-making process, is due to take a decision by mid-May. WHAT IS THE COMMISSION PROPOSING AND WHO BACKS IT? The European Commission has proposed a legal act to regulate so-called ‘Cooperative-Intelligent Transport Systems’ (C-ITS). This backs the ITS-G5 Wi-Fi standard that has already been adopted by much of the auto industry and is already certified. 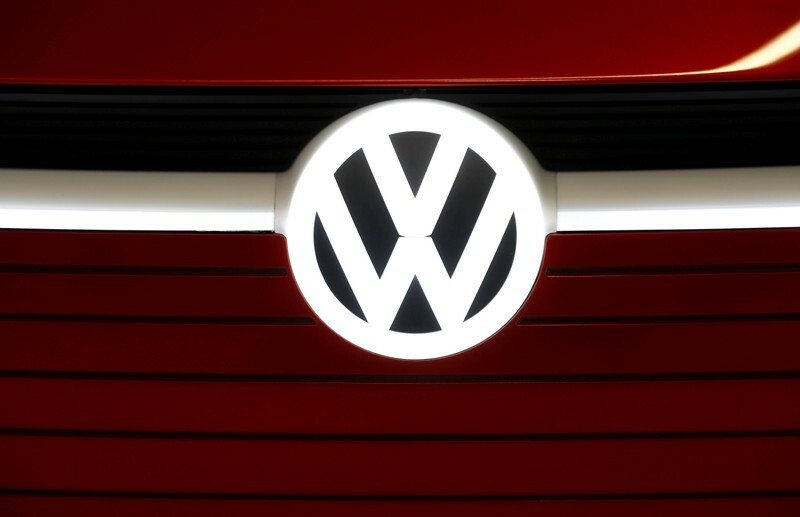 The most prominent supporter of ITS-G5 is Volkswagen, which says it will start fitting the Wi-Fi technology to vehicles this year. VW argues that viable C-V2X technology is years away, while Commission researchers could not find any commercially available C-V2X gear to test, according to a document seen by Reuters. Also backing ITS-G5 are Renault, Toyota, VW truck units MAN and Scania, chip maker NXP, road-toll company Kapsch and technical standards umbrella group VdTueV. WHY DO OTHER AUTO MAKERS AND TELECOMS PREFER 5G? Supporters of C-V2X have grown rapidly in number since eight companies – Audi, BMW, Daimler, Ericsson ERICb.ST>, Huawei, Intel, Nokia and Qualcomm – founded an alliance in 2016. The group, the 5G Automotive Association (5GAA), now counts more than 100 members who argue that C-V2X is better than Wi-Fi in terms of security, reliability, range and reaction time. 5G advocates object to a review process foreseen by the Commission that would allow other technologies to be admitted later to C-ITS, once certified. They say such interoperability is impossible because Wi-Fi and cellular radio technologies are incompatible. “It’s like putting a DVD into a VHS player and trying to make it work,” Mats Granryd, head of the GSMA telecoms industry group, wrote in a letter to EU lawmakers this week. WHICH IS THE BETTER TECHNOLOGY? Participants in the debate agree that C-V2X running on 5G networks will be the better technology – even Volkswagen is a member of the 5GAA – but they differ on when it will be ready for prime time. C-V2X could, for example, help a connected car spot a person on foot carrying a smartphone before the driver does, making it possible for automated systems to hit the brakes and alert the pedestrian to the danger – a potential lifesaver. Wi-Fi is cheaper, because 5G operators would charge for data. On the other hand, regulated mobile networks would likely be safer, says independent technology analyst Richard Windsor: “Would you trust your vehicle to be driven by a home router?” he asked. 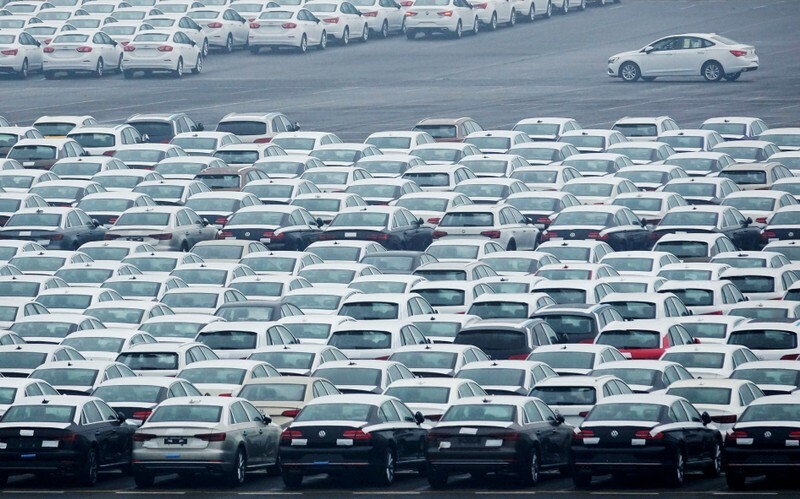 Other markets led by China are meanwhile pressing ahead with C-V2X, potentially burdening European auto makers with the expense of developing and installing different systems in cars for the home market and for export. WHO’S LIKELY TO PREVAIL IN THE END? European lawmakers passed the Commission’s legal act by a narrow majority on Wednesday and the matter now goes before the European Council. Here, opponents of the Commission’s proposal would need the backing of a so-called qualified majority of the EU’s 28 member states – 16 countries representing 65 percent of its population – to block it. That will be a tall order, but 5G backers are hoping that a skeptical opinion expressed by the Commission’s own legal advisory team will bolster their case, say sources. A Council working party meets again on May 3 and May 10 to review that advice. The government of EU heavyweight Germany says it has taken note of those reservations and has yet to make up its mind. A decision in the Council is due by May 13, although the review period may be extended. JOHANNESBURG (Reuters) – South African grocer Shoprite is to buy back deferred shares held by its chairman Christo Wiese to simplify its voting structure but substantially curbing Wiese’s influence in the company he helped turn into an African powerhouse. Besides ordinary shares, Shoprite’s capital structure includes deferred shares which carry about 32.3 percent of the voting rights at Shoprite. The deferred shares are held by Weise’s investment vehicle, Thibault Square Financial Services Proprietary Ltd. Under the deal, Titan – another one of Wiese’s entities – will receive 20 million new ordinary shares from Shoprite, in exchange for deferred shares which Shoprite will buy for 265,000 rand ($18,836.41) and cancel, the retailer said in a statement. The proposed deal will see Wiese’s voting interest reduced to 17.8 percent from 42.3 percent, while his direct shareholding will increase to 17.8 percent from 14.8 percent, Shoprite said. Following the issuance of the new shares, the total voting interest of minority shareholders will increase from nearly 60 percent to more than 80 percent, while their shareholding will be diluted by 3.5 percent, it added. Wiese has been instrumental in Shoprite’s transformation from just six outlets in South Africa in the 1970s to 2,800 shops across Africa, dwarfing rivals including Walmart Inc’s South African unit Massmart. 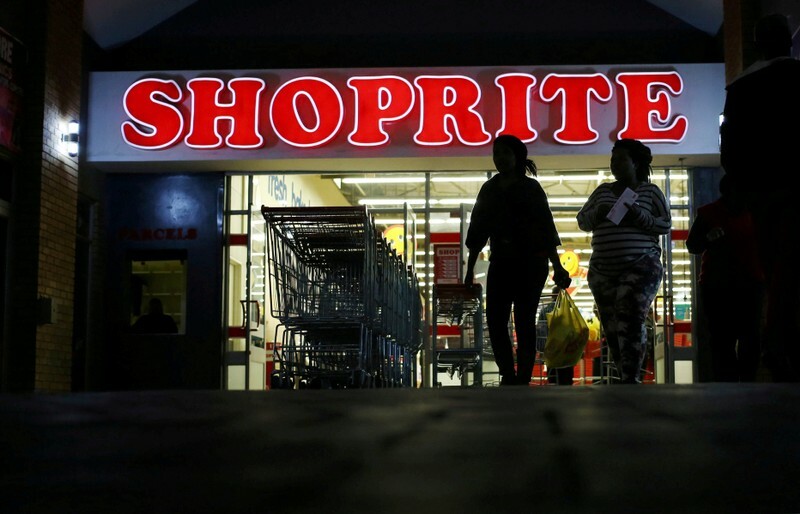 Shoprite, which also sells furniture and medicine, said the deal is expected to result in a potential once-off reduction in earnings and headline earnings of 3.3 billion rand, based on a 30-day-volume-weighted-average price of 165.35 rand per share as at April 17. He also promised “to get to the bottom of these things,” hinting at calls for the origins of the two-year investigation to be reviewed. Mueller’s report dropped at 11 a.m., spanning over 400 pages. Attorney General William Barr, who had issued a four-page summary of its findings last month, held a press conference Thursday morning and repeated his conclusions that the investigation found no evidence of collusion between Russia and Trump campaign officials in the 2016 presidential election. As for allegations of obstruction of justice, the report recounts 10 episodes involving Trump and, Barr said, “discusses potential legal theories for connecting these actions to elements of an obstruction offense.” But Barr said the White House “fully cooperated” with the investigation, and that he concluded that the evidence is not sufficient to establish an obstruction-of-justice offense by Trump. Trump and his allies have repeatedly declared victory even as Democrats have indicated that they intend to continue their own investigations, and are seeking to question Mueller and to challenge the decision by the Department of Justice to redact parts of the report. “The report underscores what we have argued from the very beginning -- there was no collusion -- there was no obstruction. After a 17-month investigation, testimony from some 500 witnesses, the issuance of 2,800 subpoenas, the execution of nearly 500 search warrants, early morning raids, the examination of more than 1.4 million pages of documents, and the unprecedented cooperation of the President, it is clear there was no criminal wrongdoing," the statement said. "This vindication of the President is an important step forward for the country and a strong reminder that this type of abuse must never be permitted to occur again," it said. Rudy Giuliani, one of the members of that team, appeared on "America's Newsroom" and brushed off questions about obstruction, saying that "the big victory is no collusion with the Russians." “You’re not going to find a darn thing [in the report] that President Trump or anyone on his campaign had anything to do with whatever the Russians were doing," he said. 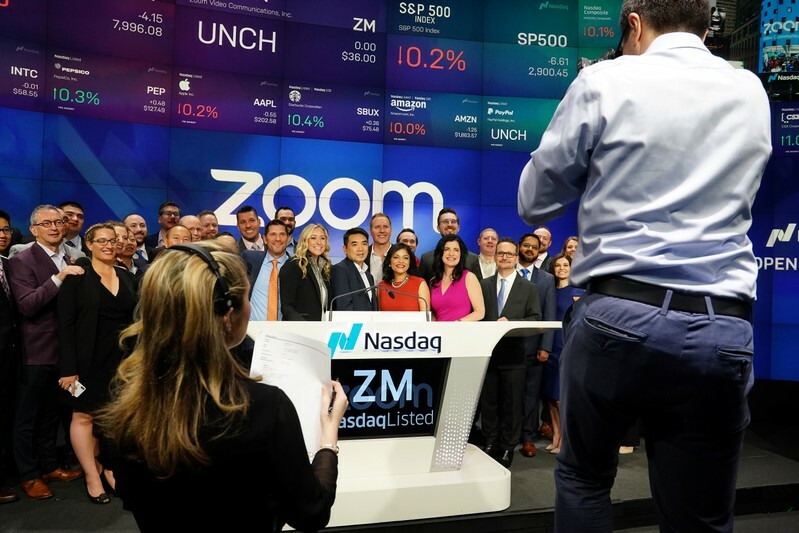 NEW YORK (Reuters) – Video conferencing company Zoom Video Communications opened at $65 per share on Thursday, 80.6 percent above its initial public offering price, in its debut on the Nasdaq. Zoom priced its IPO on Wednesday at $36 per share, above its target range of $33-$35 per share. Barr offered a staunch defense of President Trump on Thursday morning during the press conference where he previewed the report’s findings and explained why he and Deputy Attorney General Rod Rosenstein concluded that the president had not obstructed justice. He also said it was important to consider the “context” for Trump’s actions during the past two years. Reacting to the news conference, Wallace told "America's Newsroom" Barr "seemed almost to be acting as the counselor for the defense, the counselor for the president." Wallace went on to say that Democrats will come down hard on the portions regarding obstruction laid out in the report. The Department of Justice released the redacted report to lawmakers and the public soon after the press conference. (Reuters) – Bank of New York Mellon Corp missed analysts’ estimates for quarterly profit on Wednesday, as lower client activity and a fall in assets under management pressured fee revenue. A 9 percent drop in fee revenue to $3.03 billion pulled down overall revenue by 6.7 percent to $3.90 billion. Asset servicing revenue fell 7.4 percent to $1.41 billion, while asset management revenue plummeted 17 percent to $637 million, the company said. BNY blamed asset under management outflows and lower client activity for a decline in its fee revenue. Analysts were expecting earnings of 96 cents per share, according to IBES data from Refinitiv. The New York-based custodian bank said it incurred provisions for credit losses of $7 million due to the bankruptcy of a California utility. LIMA (Reuters) – Alan Garcia was the charismatic chameleon of Peruvian politics, once popular enough to be elected president twice. But his terms were filled with ups and downs and he eventually became caught up in the Odebrecht bribery scandal that rocked Latin America. Garcia, 69, fatally shot himself in the head on Wednesday at his home in Lima as police waited in another room to arrest him in the Odebrecht case, which has ensnared three other former Peruvian presidents. Garcia had denied the corruption allegations that had long dogged him until the end, saying he was victim of political persecution. “Others might sell out, not me,” he told journalists in some of his last public comments on Tuesday, repeating a phrase he used often as his foes became ensnared in the bribery investigation into Brazilian builder Odebrecht in recent years. The son of an accountant and a schoolteacher, Garcia became one of Latin America’s greatest orators and governed Peru as a firebrand leftist from 1985-1990. He remade himself as a champion of foreign investment and free trade to win another five-year term in 2006. Garcia benefited from his family’s connections with Victor Raul Haya de La Torre, the founder of Apra, which was once Peru’s largest and most powerful political party. After earning a law degree in Lima and studying political science in Madrid, he won a seat in Congress and in 1985 became Apra’s first president at age 36. He had promised to bring historically excluded Peruvians into the political fold and extend the country’s vast minerals wealth to the millions who lived in desperate poverty. He once enjoyed tremendous support – near 90 percent at his height – and was touted as Peru’s John F. Kennedy. But the popularity soon began to crack. In June 1986, security forces killed hundreds of rioting guerrilla inmates in Lima jails, putting in doubt Garcia’s reputation as a defender of human rights. His approval sank further when he tried to nationalize banks in 1987 and refused to pay foreign debt, alienating the business class and sparking a deep recession. The end of his term was marred by an escalating war with Shining Path guerrillas, hyperinflation surpassing 2,000,000 percent and accusations of widespread corruption. In July 1990, he left office in disgrace. Garcia was down but not out. After spending nine years abroad to avoid corruption probes, he eventually returned to Peru and charmed his way back into politics by convincing voters he had returned older and wiser. He ran and lost the 2001 presidency but succeeded in re-creating his image. This time, Garcia promised, he would avoid of the mistakes of his first presidency and would control spending, attract investment and handle insurgent rebels with a heavy hand. In 2006, Garcia again ran for the presidency and eked out a win, defeating Ollanta Humala, who had spooked investors and was closely connected in many voters’ minds with the socialist politics of Venezuela’s late former president Hugo Chavez. In his second term, a visibly pudgier Garcia oversaw explosive economic growth. He brought billions of dollars of mining and energy investment to Peru and is credited with opening its economy to the world. The country became a darling of global investors under his watch but his popularity continued to sink after he left office in 2011, in part due to thousands of pardons his government granted to drug traffickers in his second term. Garcia, who had six adult children, ran for president again in 2016 but came in a distant fifth in a race of 10. He resigned as president of Apra and urged members to revamp the party without him. Garcia was one of nine people whom a judge had ordered arrested in connection with the bribery investigation into Odebrecht on Wednesday. But he shot himself after police arrived to arrest him and died at a hospital hours later. President Martin Vizcarra, who Garcia had accused of trying to silence him, ordered Peru’s flags to be flown at half staff. TEL AVIV (Reuters) – Bank Hapoalim CEO Arik Pinto will step down when his term is up at the end of the year, Israel’s largest lender said on Monday. WASHINGTON, (Reuters) – Labor markets remained tight across the United States as businesses struggled to find skilled workers and wages grew modestly, the Federal Reserve said on Wednesday in its latest report on the economy. The U.S. central bank’s “Beige Book” report, a glimpse of the economy based on conversations with business contacts across all 12 of the Fed’s districts, found economic activity grew at a slight-to-moderate pace in March and early April. A few districts reported some strengthening in economic growth. Wages grew moderately in most districts for both skilled and unskilled workers, with only three reporting slight growth in workers’ pay, the Fed said. The Fed held interest rates steady at its last policy meeting in March, sticking with the “patient” approach adopted by policymakers in January, given little sign of rising inflation and the growing concerns about trade tensions and slowing global growth. The Beige Book gives the Fed a sense of what central bank officials are hearing in their own districts, which in turn could inform their thinking when it comes to the economy and the Fed’s stance on rates. The latest Beige Book was prepared by the St. Louis Fed based on information collected on or before April 8, 2019.